By Angela Williams, Staff Counselling Sessional Counsellor. Today is the start of National Anger Awareness Week, which aims to help people befriend anger by using the right tools to calm themselves down and to deal effectively with this emotion, be it their own or that of others. This post gives you some information on how to identify anger and manage your response to it. Anger is a healthy emotion that everybody has, therefore it is perfectly normal to feel angry. When we become angry our body reacts by producing adrenalin, this can at times be invigorating, giving us more energy, but it can also make us feel tense and uncomfortable, sending us into a ‘fight or flight’ mode. How we deal with these reactions is the difference between managing and not managing our anger. If a person struggles to control their anger this can become unpleasant and intimidating both for the person experiencing the anger and for those around them. Heart beating faster and breathing more quickly. Feeling tension in your body, for example your shoulders. Being aware of some of these signs initially can be an indication to move away from the situation or a need to implement some techniques to bring the anger back to a healthy emotion. Count to 10. Give yourself time to calm down and think more clearly before having impulsive angry reactions. Breathing slowly and deeply. Breathe out for longer than you breathe in, and relax as you breathe out. Use a relaxation technique such as a meditation. Talking about how you are feeling could help and you may be able to see the situation from a different perception. It can also stop you suppressing your anger. Being aware of your diet. Food can affect your mood. Lack of certain nutrients can make you feel irritable and weak, and so a healthy diet is likely to help you feel more in control of your feelings. Exercise and relaxation can help reduce your general stress levels, running, walking, cycling, swimming, yoga and meditation are just a few of the activities that can help. Making sure you have enough sleep is also important, being tired can automatically make us irritable without any additional anger triggers. Drugs and alcohol can make anger problems worse. 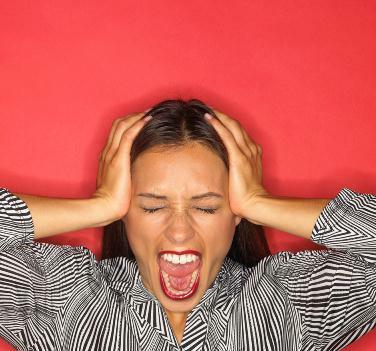 “They lower inhibitions, and actually we need inhibitions to stop us acting unacceptably when we’re angry,” says clinical psychologist Isabel Clarke, a specialist in anger management. Painting, writing, music, dance and role play can all be a creative and positive ways to help explore and release some of the emotions around expressing anger. Think about the way you think, not everybody has the same views as you do. Try to see things from others perspectives. If you feel you need help dealing with your anger, you can refer to the Staff Counselling Service or you can see your GP. You can read more to get further tips on managing anger. I would like to hear more about why you would say “Anger is a healthy emotion”. If it was healthy, would there be a need to manage it? Anger appears to be an unhealthy emotion. Expressing it is problematic, suppressing it is problematic. So I would have thought that the conclusion would be that anger is problematic. It’s normal to get a cold sometimes, but we wouldn’t say that having a cold is a healthy condition. So I think more needs to be said about why you would consider anger to be ‘healthy’. Hi, ö-Dzin. Thanks for your comment. Saying anger is a ‘healthy’ emotion was to say that it is a perfectly ‘normal’ emotion, and can give us the energy to change or address something. It might be helpful to think about anger as changeable, existing on a sliding scale of healthy to unhealthy. Where our own anger is on this scale might depend on a number of factors and might change from moment to moment or more consistently over a longer period of time, depending on circumstances. Most of the time, for most people, anger exists as a healthy emotion, letting us know we are unhappy about something, but this isn’t always the case, it can tip into something aggressive and all consuming. It’s normal for us to feel angry, sometimes. Calling anger normal also makes the comparison with the common cold easier; we can say that it’s normal to catch a cold, that most of us can expect, at some point, to succumb to sneezing, a sore throat and/or a blocked nose etc. This doesn’t mean that there’s anything ‘wrong’. And colds are always deemed to be a mild viral infection, with common symptoms; I think in this way the cold is different to anger, which can be healthy, but may not be. In the way we commonly talk about our physical health, we generally wouldn’t describe a cold as a ‘healthy condition’, but it is certainly common and normal. I hope this helps to explain. Thank you very much for this. I could go along with ‘normal’ more than I would with ‘healthy’. For me, ‘healthy’ for me would describe a desirable condition, whereas ‘normal’ might mean ‘commonly experienced’ – and that would be a good place to start. The comparison with the common cold is an interesting one as it implies that anger is a condition that we’d rather be without. Thank you very much for the helpful clarification.